The year 2014 is upon us. Perhaps, we have already made some goals for the new year. We may plan to do more exercise or eat less food. Perhaps, we want to travel more, or get out of debt. In light of our goals for 2014, will we take the time to do an inventory of our spiritual lives? 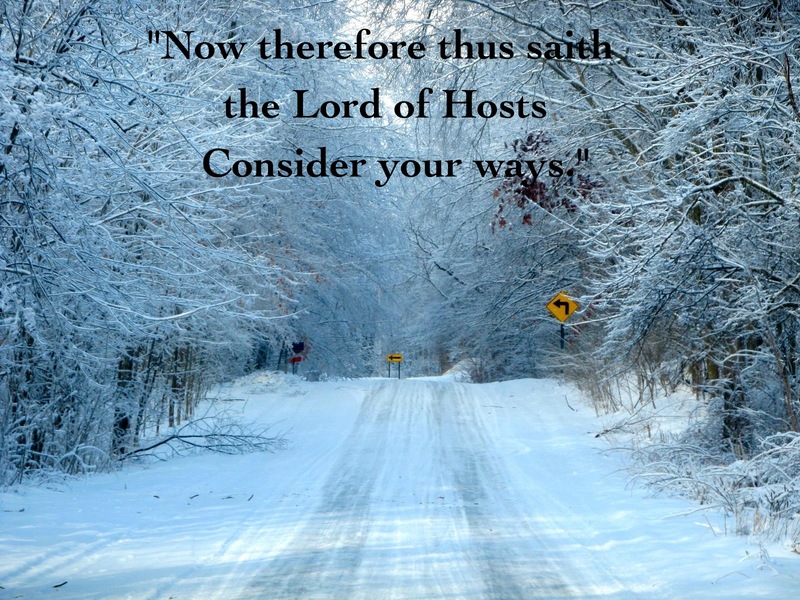 God says in Haggai 1:5: “Now therefore thus saith the Lord of hosts; Consider your ways”. God’s people had returned to their land, but they had neglected to rebuild the temple. They were too busy with their own affairs. to concern themselves with God and His priorities. Today, we often neglect our spiritual lives because we become preoccupied with all the activities that make demands on our time. Like the Israelites, have we neglected to take an inventory of our spiritual life? 1. How well do I know God? “That I may know Him.” (Philippians 3:10) These words show Paul’s great desire to know the Lord in a personal way. He didn’t just want to know about God, but he wanted to know God intimately as His Father, Lord and Friend. Intimacy comes by spending time with God in His Word. We will study His Word to learn more about His character, His works, and His promises. Intimacy comes by spending time with God in prayer. Intimacy also comes by spending time meditating upon God. This will cause our love for Him to grow! 2. How well do I know myself? ”Search me, O God, and know my heart: try me, and know my thoughts:” (Psalm 139:23) We often find it difficult to allow God to search every aspect of our life. We like to focus on all of our “good points” and we tend to ignore our sins or weaknesses. 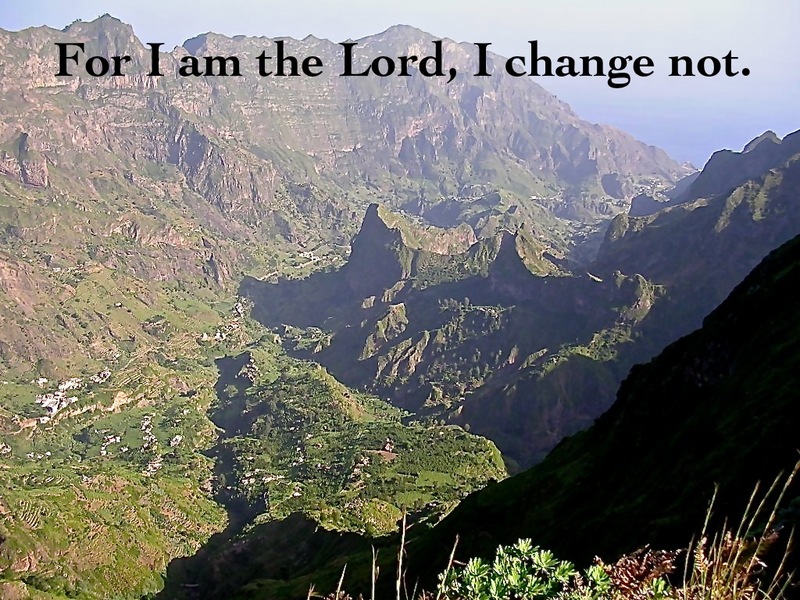 God gives us His Word to enable us to see areas that we need to change in our lives. When we read the Word of God, do we allow God to convict us of our sins? Do we allow Him to show us areas in our lives in which we need to improve? Do we allow Him to show us our apathy in spiritual matters? Examining our lives may not be pleasant, but it is a great step in moving forward in our spiritual lives in 2014. 3. How well do I use my time? “Redeeming the time, because the days are evil.” (Ephesians 5:16) Time is a gift that we often waste on matters that are not very important. We have many tools today to save time; yet we seem to have less time than ever. We allow the urgent to crowd out the important. The Apostles Paul understood that his greatest priority in life was to mature in his faith. “I press toward the mark for the prize of the high calling of God in Christ Jesus.” (Philippians 3:14) His time, efforts and focus were upon his spiritual well-being. We spend a lot of time taking care of our physical bodies, but what about our spiritual life? Time is a gift that we can invest in those things that promote our spiritual well-being. 4. How well do I encourage those around me? We often focus upon our own lives and we forget the impact that our lives have upon other people. One of my favorite Bible characters is Barnabas. He was a man who was always encouraging others. He encouraged others by his example. He did this with his generous gift to the church (Acts 4:36-37). The Bible also says about Barnabas: “He was a good man, and full of the Holy Ghost and of faith:” (Acts 9:23) If people followed our example what kind of Christian would they be? He encouraged others by his friendship. Barnabas extended the hand of friendship to Paul when nobody else did. (Acts 9:26-27) People need friends, but our culture of isolation has kept us from reaching out to others with the needed hand of friendship. He encouraged others with his words. Barnabas was a leader who encouraged the early church in Antioch with his words (Acts 9:23) We can use our words to discourage a person or to encourage them. He encouraged others by giving them a second chance. John Mark had failed on the first missionary journey. Paul didn’t want to take the chance to take John Mark on the second journey. Barnabas choose to give John Mark a second chance. This same John Mark would later write the Gospel of Mark. People will fail us, just as we fail others. Will we give them a second chance? 5. How well do I glorify God in all that I do? The greatest purpose of our life is to bring glory to God. “Whether therefore ye eat, or drink, or whatsoever ye do, do all to the glory of God.” (1 Corinthians 10:31) God wants to be glorified in all that we do. Do we glorify God in our thoughts, attitudes, words and actions? De we glorify God in our family? Do we glorify God at work or school? Do we glorify God with our plans and goals in life? We have come to another crossroads in our lives. We have a great opportunity before us. What will we do with this opportunity? We can move forward in our spiritual lives or we can remain stagnant. God desires us to move forward in our spiritual lives. Our Heavenly Father demonstrates His love towards us every day. 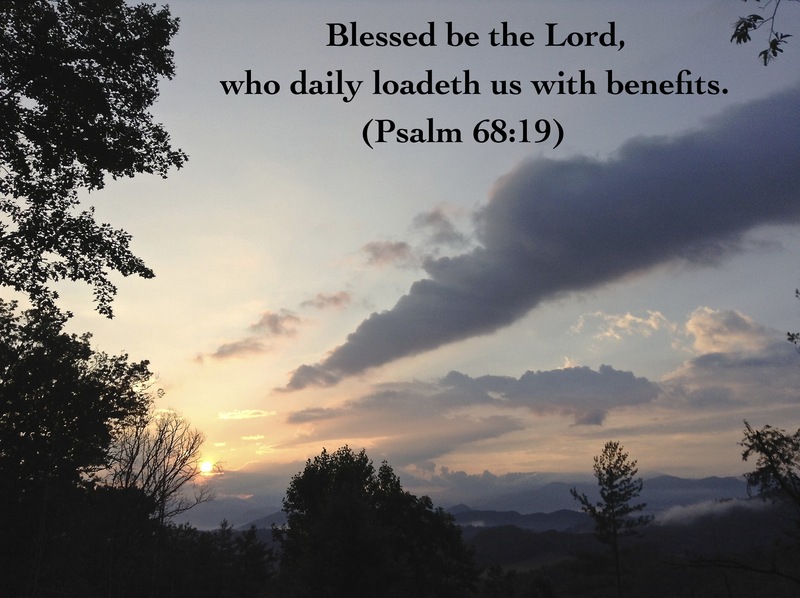 These daily blessings are often not seen or appreciated by His children. Why is this? We often focus upon our past, instead of living out today. We often worry about the future instead of enjoying the blessings of today. God not only gives us blessings for today, but he gives them abundantly! What are some of these daily blessings? Will we enjoy these blessings today? 1. God gives us the gift of a brand new day to love and serve Him. 2. God gives us the privilege of opening His Word and hearing His words of truth, encouragement, promise and exhortation. 3. God give us the opportunity to speak to Him at any time during the coming day. He is never too busy to hear our prayers. 4. God promises to love us throughout the day regardless of what happens. 5. God’s Holy Spirit dwells within us. He brings guidance, comfort and spiritual fruit into our lives. 6. God gives us the confidence that whatever comes into our lives today must first pass through His loving hands. 7. God gives us His forgiveness . When we confess our sins to Him, He restores us to a right relationship with Him. 8. God gives us what we need for today not necessarily what we want. 9. God brings people into our lives each day to fulfill His plan for our lives. 10. God gives us the privilege of His presence throughout the day. He is always with us! 11. God gives us the strength we need to bear what may happen throughout the day. 12. God gives us His comfort when sorrow, rejection or pain may seem to overcome us. 13. God gives us the assurance of eternal life if die today. We are confident that death is an entranceway to heaven. 14. God is always available to hold us up when we seem ready to fall. Fathers do this for their children. 15. God knows all that is happening in our lives today. Nothing that happens today is a surprise to God. 16. God gives us wisdom to face whatever situation may arise in our life. 17. God gives us the opportunity to enjoy His creation. 18. God gives us the ministry of encouraging others and praying for others. 19. God enables us to escape the snares of Satan’s temptations. 20. God gives us a restful night sleep if we trust in Him. The valley is a place that we never choose for ourselves, but God chooses it for us. His plan for our life doesn’t just include the blessings and the mountaintop experiences. His plan includes the valleys. At times, we are so deep in a valley that we forget God and His promises. The valley challenges our faith in many areas, including our trust in God, our steadfastness in Christ, and our love for God and others. When we enter the valley, we struggle with having a grateful heart before God. We look at our dire circumstances and feel numb. We feel as though we are watching a tragedy unfold and we are one of the main characters. We lose our focus upon God as we travel deeper into the valley. After the initial shock of entering the valley, we realize that we need to cry out to God. We ask for deliverance. We ask for relief. We ask for strength. We ask for wisdom. However, worry and fear are still affecting us spiritually. Why is there no relief? Have we neglected to thank God for our valley? How can we travel through the valley with an ungrateful heart? Giving thanks to God helps to give us perspective concerning the valley. 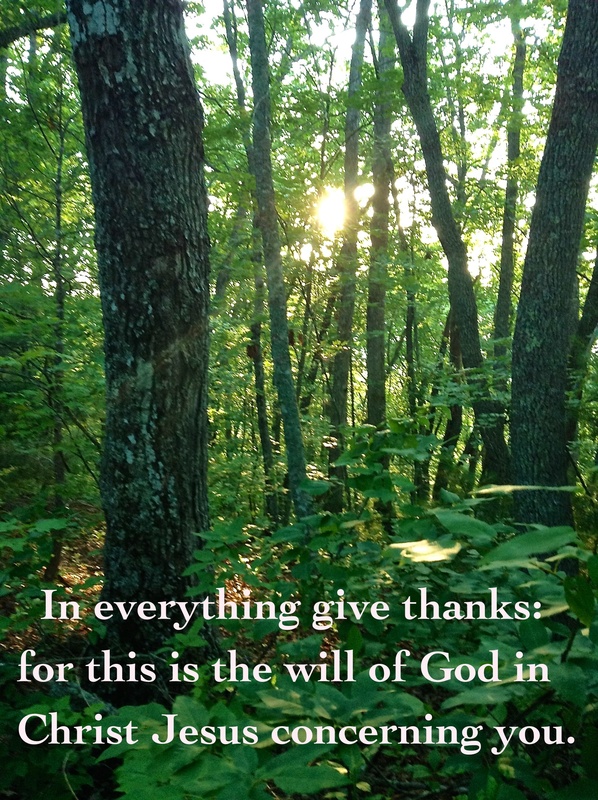 Gratefulness enables us to see the valley as a place of abundant blessings from God. As the song writer wrote: “When upon life’s billows you are tempest-tossed; when you are discouraged thinking all is lost; Count your many blessings, name them one by one and it will surprise you what the Lord has done.” What are some of the reasons that we can thank God for the valley. 1. The valley gives us a thirst for God. Nothing can satisfy our soul in the valley but God Himself. “As the hart panteth after the water brooks, so panteth my soul after thee, O God.” (Psalm 42:1) The valley causes us to run into the arms of our loving Father. The valley creates a thirst that only our Heavenly Father can fulfill. 4. The valley causes us to search our hearts. “Search me, O God, and know my heart: try me, and know my thoughts: (Psalm 139:23) The busyness of our lives often keeps us from reflecting upon our hearts. We go through the motions and neglect to take inventory of our lives. When God takes us into the valley, we find ourselves looking for answers. This helps us to search our hearts as to our past, present and future. (John 11:3) Tragedy and heartache can bring families closer together or further apart. In the case of Lazarus, his death brought his family closer together. When one member of a family enters into a valley, it is a great opportunity for others in the family to travel with their loved one. 6. The valley tests our friendships. “A friend loveth at all times, and a brother is born for adversity.” (Proverbs 17:17) The valley exposes the true loyalty of a friend. A true friend doesn’t run away when their friend enters into the valley, but they encourage him. They do whatever they can to help their friend. There are many so-called friends who are exposed in the valley because they watch from the sidelines as their “friend” travels the painful road in the valley. 7. The valley gives us a hunger for the Word of God. “It is good for me that I have been afflicted; that I might learn thy statutes.” (Psalm 119:71) When times are going well, we read our Bibles out of obligation, but when we enter the valley we read our Bibles out of necessity. The Word of God opens up to us with its promises, comfort and even conviction. 8. The valley is a place where Jesus becomes our sweet companion. “Yea, though I walk through the valley of the shadow of death, I will fear no evil: for thou art with me; thy rod and thy staff they comfort me.” (Psalm 23:4) The valley is a place where we may feel lonely, but we are never alone. We have a companion who walks every step of the way in the valley with us. The walk in the valley is difficult, but we can find it pleasant because we experience a closeness to the Lord that we don’t normally.experience. 9. The valley broadens our ministry towards others. “Who comforteth us in all our tribulation, that we may be able to comfort them which are in any trouble, by the comfort wherewith we ourselves are comforted of God.” (2 Corinthians 1:4) God’s ministry of comfort, strength and encouragement in our valley enables us to have compassion upon others who are in the valley. When we respond to the valley in God’s way, we will find many doors of ministry that will become open to us. 10. The valley enables others to minister unto us. “The Lord give mercy unto the house of Onesiphorus; for he oft refreshed me, and was not ashamed of my chain:” (2 Timothy 1:16) The valley enables others to reach out to us. We become thirsty for encouragement and people see this need and refresh us. They can refresh us with their presence, with their words, and with their prayers. Yes, the valley doesn’t seem attractive when we first enter; however, as time goes by, we learn the secret of the valley. This is a place of great blessing. This is a place of experiencing God’s love. This is a place of spiritual growth. The key to having the valley become a very positive experience is to thank God for this time in our lives. The valley is often a place of loneliness. We may feel that nobody understands exactly how we feel. As we experience sleepless nights, the loneliness and darkness of the night seem to settle like a foggy mist upon us. The hopelessness of our situation paralyzes us . Where can we find hope, comfort and companionship during these dark hours in the valley? The answer is Jesus! 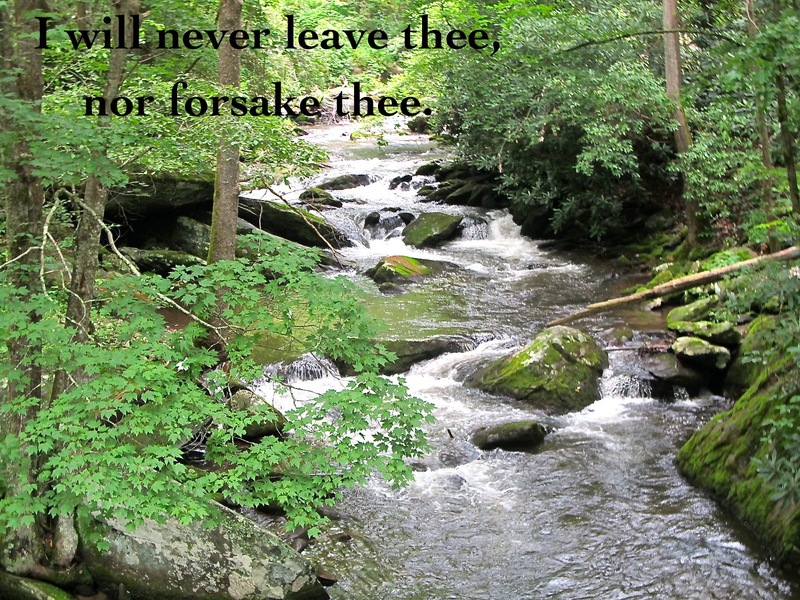 Jesus gives us this promise in Hebrews 13:5: “Let your conversation be without covetousness; and be content with such things as ye have: for he hath said, I will never leave thee, nor forsake thee.” No matter how dark the night, He will not leave us. No matter how deep the valley, He will not leave us. No matter how painful the path, He will not leave us. As we trod through the valley, Jesus promises to walk every step of the way with us! The valley may not be our plan for our lives, but it is God’s plan for our lives. He knows how easy it is for us to drift in our relationship with Him. We can even slowly fall into the sin of the church at Laodicea. This church had become lukewarm because they no longer saw their desperate need for Christ. In our Christian life, there are times when we become lukewarm. 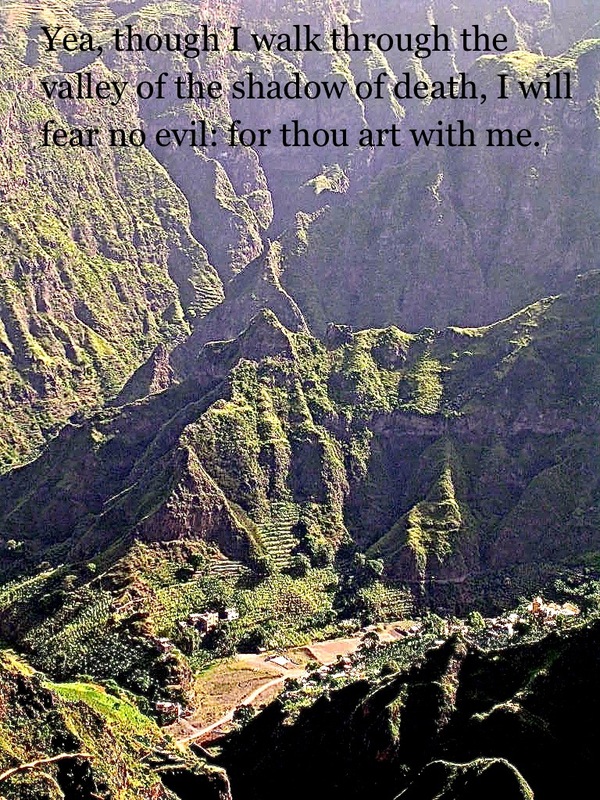 The Lord sends us into the valley to restore our passion for Him. Many of us would say that some of the sweetest times in our lives is our valley experience. Yes, the valley seems painful, lonely, dark and confusing, but it is also quite sweet. It brings us once again to the feet of Jesus. We become broken before our Lord. We don’t pray out of obligation, but out of desperation. We cling to Christ and He takes us unto His bosom and brings great comfort to us. Christ’s presence changes our whole outlook of our valley. No longer is the valley a place filled with sorrow and bitterness, but a place to accept with joy. How does Christ change our valley from a place of bitterness to a place of sweetness? The valley is a place of the unknown. The future is unknown. The next step to take is unknown. The reason for being in the valley is unknown. The unknown causes us to develop fear and anxiety. Faith seems to disappear in our lives. We know that God is with us. We know the promises of God. We want to trust God. We need to trust God! Yet we only see the dark road ahead of us. 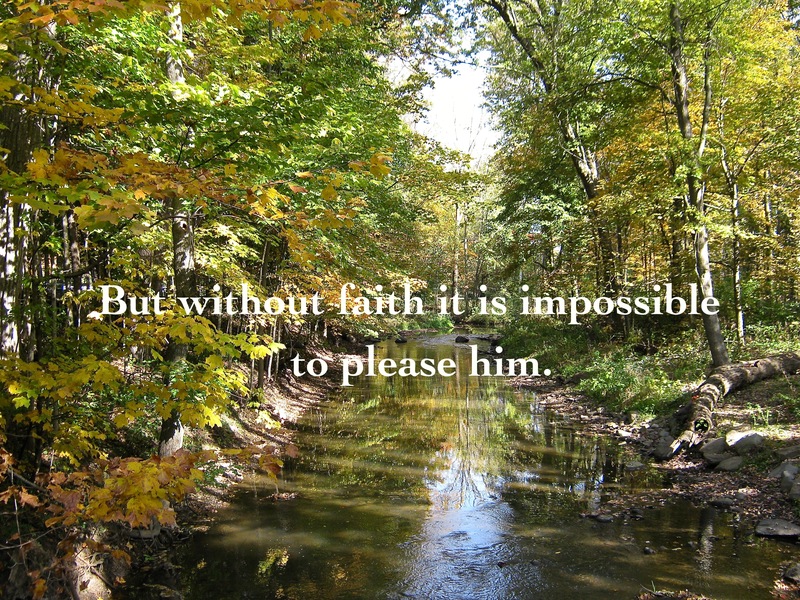 Why is faith so difficult when we need it the most? I have tried to understand the answer to the above question. Why can’t I trust my loving God? Why can’t I trust my all-wise God? Perhaps the answer lies in the verse where Jesus tells us that we are to become as little children. “And said, Verily I say unto you, Except ye be converted, and become as little children, ye shall not enter into the kingdom of heaven.” (Matthew 18:3) A little child has great faith and trust, which is essential for us in our walk with God. When I was very small, I trusted my parents in everything. I didn’t doubt anything they said. When they said Santa Claus was coming, I believed them. When they took me to the doctor for a painful shot, I believed them when they said it was for my own good. They were my parents; so I trusted them. As I grew older. I started to doubt what my parents said. I doubted their rules. I doubted what they thought was best for me. I doubted the way they raised me. I still loved them, but I thought I knew better. I lost my childlike trust of them. I weighed everything they did from my very narrow teenage viewpoint. In my relationship with God, I find it easy to lose my childlike faith. I see my life from my viewpoint. I try to understand what God is doing instead of trusting what He is doing. I try to interfere in what He is doing, instead of submitting to his way of working in a certain situation. As a child, my parents would take me to various places in our car. I never doubted that I would arrive there safely. I never doubted that they had my best interest at heart. I never complained about the journey. I would sit in the back seat and look around at the scenery and accept that this is what my parents wanted. The struggle of faith exists because we act too much like adults. We need to see before believing. We need to understand before we believe. We need to know the results before we believe. We need to feel like there is something that we can do to resolve the trial. The more we think like an adult, our faith diminishes. How can we grow in faith in the midst of the valley? The valley challenges our faith. It batters our faith. We need faith desperately. The first step of faith is to return to a child-like view of God. We don’t have to understand what God is doing. We don’t have to understand what will happen in the future. We don’t have to know why all of this is happening. We can look unto our Heavenly Father and know that He has everything under control. His path is always the best way to go; even if it takes us through a dark valley.